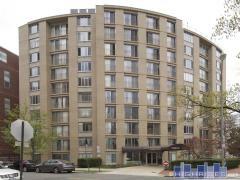 Blog with news about the Washington DC condominium and loft market. Tuesday, September 6th, 2016 at 6:38am. Monday, October 7th, 2013 at 9:14am. Really! Here are the details. This former Washington DC schoolhouse was purchased by the current owners in 2000 from the city. It was vacant, flooded and filled with pigeons… The owners undertook a massive, renovation and restoration project and created a spectacularly glorious property. (see all the pictures HERE) This property is listed by TTR Southey’s agents Peter Lane and Robert Sanders. They created 9 apartments PLUS a 9,500 SF owners unit with a restaurant sized kitchen, palatial living room with 50 foot ceilings, an airplane themed movie theater, a phenomenal roof deck and more bedrooms than you could count. The creativity and devotion displayed in their creation is truly inspiring. Friday, October 4th, 2013 at 8:53am. Highrises.com DC team is excited to announce that they represented the buyer of a smartly designed two bedroom condo in 1150 K St NW. 1150 K street NW is one of only two residential buildings on world famous "K Street". The other condo building on K street is City Vista- another amazing condo building that occupies the entire city block surrounding a 1 acre private park. Perfectly located in the heart of downtown Washington DC with easy access to Chinatown, Penn Quarter and the National Mall.